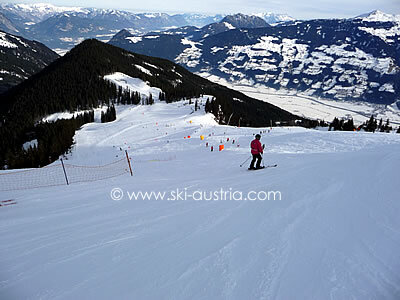 The small village of Fügen can actually boast two ski areas. The content on this page is about the Spieljoch area above the village and reached via the gondola from the centre of Fügen. 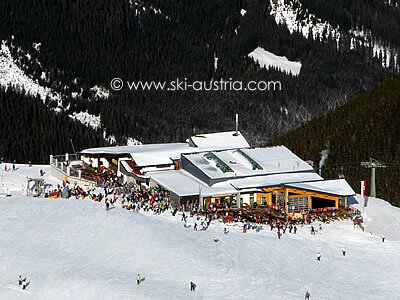 The Hochfügen area, part of the Hochzillertal ski area, is covered on the Kaltenbach skiing page. 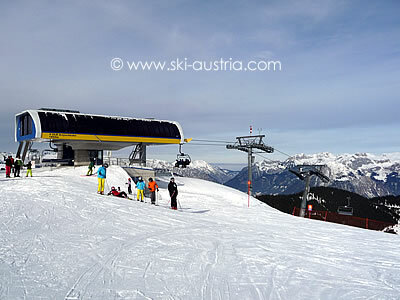 The Spieljochbahn gondola is at the higher end of the large snow-covered field in Fügen which is used for beginners' ski school when conditions are good. The gondola rises through a mid-station to the centre of an open bowl above the tree-line. 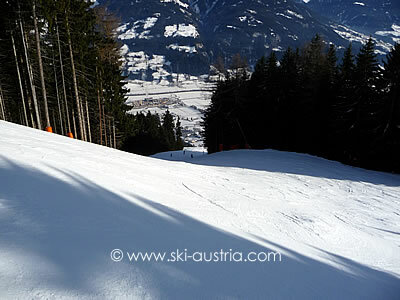 From the gondola exit, the Möslift drag offers a relatively easy blue run, the only one in the area. Alternatively skiers can take a warm-up run down to the bottom of one of two chairlifts. The Arzjochbahn - the top station is also visible at the gondola exit - is to the left looking down while the Onkeljochbahn is the longer chairlift which rises above the gondolas. 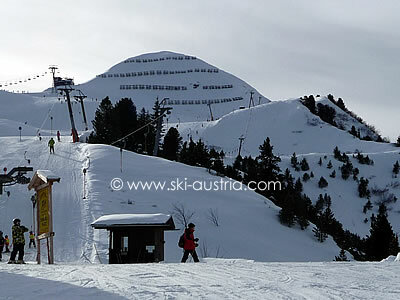 Both of the red runs, in fact all the red runs in the area, are of a moderate standard unlikely to provide too many surprises to intermediate skiers in good conditions. The Onkeljochbahn rises to the ridge between the Onkeljoch and the Spieljoch and, on the other side, is the third chairlift of this small area. 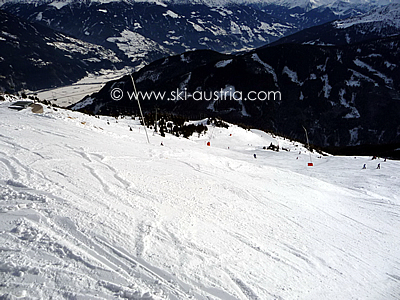 This run down to the base of the Geolsbahn chair is a scenic sunny piste with views up the valley to Hochfügen. A gondola from the Hochfügen road up to the Onkeljoch is planned for this side in the future. Back at the Onkeljoch and the conjunction of the two chairs and the Onkeljoch drag, the skier also has the option of a top-to-bottom run past the base of the Onkeljoch chair and down to the mid-station at the Kohleralm or the bottom of the gondola in Fügen. The long run is an interesting one through the trees and, according to the ski area, is the longest piste with snow cannons in the Ziller valley. Looking for the best accommodation in Fügen?